An iconic Rolex watch owned by Paul Newman could bring a world record price when it comes up for sale at Phillips later this year. 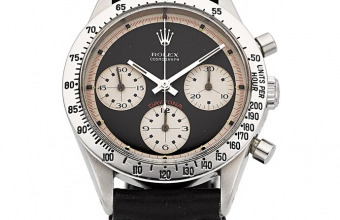 The Rolex Cosmograph Daytona Oyster is known to collectors around the world as the ‘Paul Newman’ Daytona, due to the Hollywood actor’s love of the model. He wore numerous examples throughout his life, but the watch offered at Phillips is the first he ever owned: the original ‘Paul Newman’ Cosmograph Daytona. 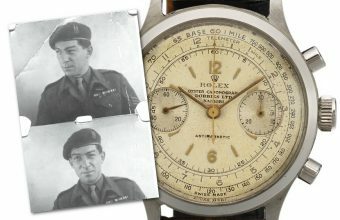 The watch has been described as "the most ‘storied’ and most important vintage Rolex of our time", and is expected to fetch a seven-figure sum when it hits the auction block on October 26. 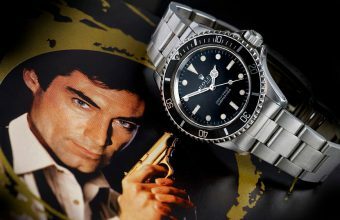 The market for vintage Rolex watches has exploded in recent years, with rare examples selling for millions. 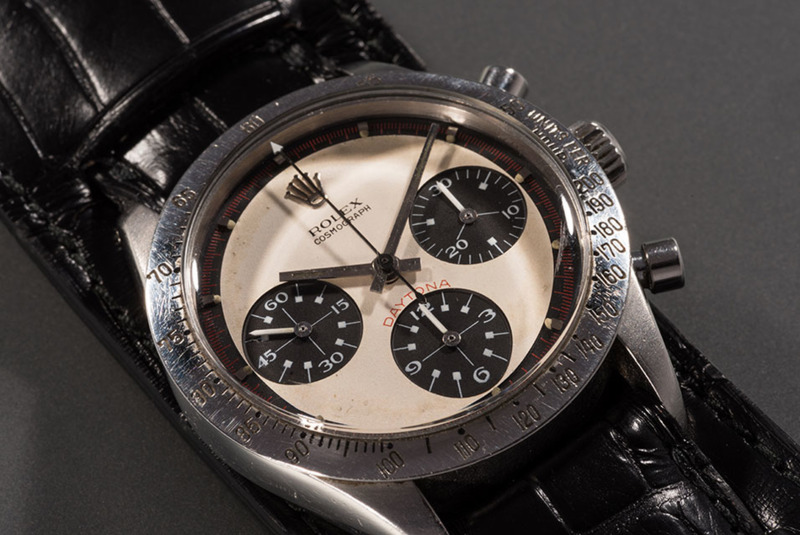 The iconic nature and provenance of the Paul Newman watch make it a strong candidate to exceed the current record of $5 million, set in May 2017 by a Rolex Reference 6062 which once belonged to His Majesty Bao Dai, the last Emperor of Vietnam. The story starts back in 1969, during filming of the racing movie ‘Winning’. Newman developed a passion for motorsports whilst training for the film at Watkins Glen, and by 1972 he had begun a secondary career as a professional racing driver. He later formed his own racing team, placed second at the 1979 24 Hours of Le Mans, and set a record when he won his class in the 1995 24 Hours of Daytona at the age of 70. Newman’s wife Joanne Woodward feared for his life every time he took to the track, and bought him the watch bearing the inscription "DRIVE CAREFULLY ME" as a reminder to come home in one piece. She chose the model as it was created specifically for use in motorsports, and featured a tachymeter scale engraved on the bezel designed to measure speed. Newman treasured the watch for decades, and was photographed wearing it many times, whether at the track or on the red carpet. 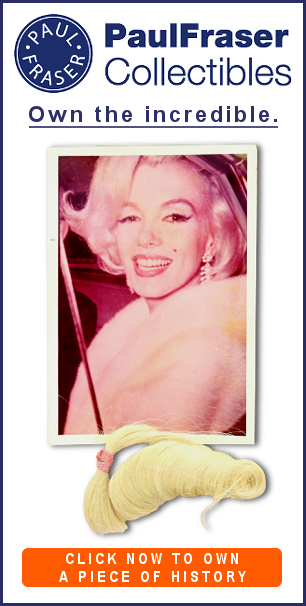 Then in 1984 he presented it as a gift to James Cox, the boyfriend of his daughter Nell, whilst the pair spent a summer rebuilding a treehouse at the Newman family home in Connecticut. "The tree house was perched in a large oak tree that cantilevered over the Aspetuck River at my childhood home in Westport, Connecticut. We had two family homes, one on each side of the river. That summer Pop was living in one, and James was living in the other. Pop would frequent the river bank to check on James’ progress. "During one such encounter, Pop asked James if he knew the time. Apparently Pop forgot to wind his wristwatch that morning. James responded that he didn’t know the time and didn’t own a watch. Pop handed James his Rolex and said, “if you can remember to wind this each day, it tells pretty good time." Cox kept the watch for more than 30 years, and remains close friends with Nell to this day. The pair have now decided to jointly offer the historic Rolex for sale, with a portion of the proceeds benefitting family charities the Nell Newman Foundation and the Newman’s Own Foundation.